Inside Starwood’s “Out-of-the-Box Thinking” session, the chief executive discussed how Starwood’s St. Regis, The Luxury Collection and W Hotels are responding to challenges in targeting the new luxury consumer. 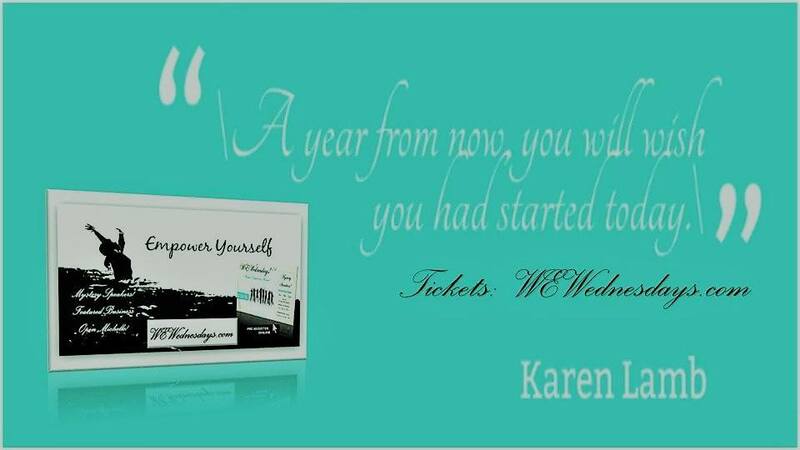 Savvy marketers will examine how the industry is changing as a result of this new fast-moving, technology-driven age and respond quickly. 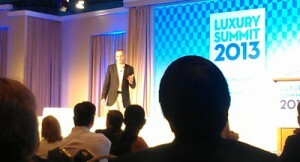 Starwood’s executives call today’s global setting the days of great change. Around the world there is greater connectivity. These forces are accelerating and changing everything from business to society to everyday life. This global connectivity is driving the age of luxury travel in emerging markets. Starwood now operates more hotels in Dubai than New York. Thanks to technology, marketers in all categories have access to more consumers, and consumers have access to more information about the world. Soon there will be more cell phones than people on the planet and many marketers cannot begin to predict the kind of change that this will bring to the industry, per Mr. van Paasschen. ‘If brands such as Amazon and Apple can recommend books and television shows for each consumer, hotels are expected to provide the same personalization such as a guest’s favorite food, preferred room temperature and desirable destinations. Technology makes it possible to not just talk to a brand’s most elite guests, but anyone anywhere in the world. Consumers expect to have their unique preferences met everywhere they go. ‘Technology is not only changing the expectations of luxury consumers, but it is redefining the industry. Today, one consumer’s definition of luxury might not be another’s definition of luxury. Brands are no longer the arbiters of what luxury is today, Mr. van Paasschen said. It used to be that scarcity was a defining feature for luxury, but now it depends on who a consumer views as the arbiter – a fashion blogger, a concierge or their favorite magazine editor. Starwood used this notion to shape its W brand, which started out as a real estate play for which it turned up the music and turned down the lights. W could not raise hotel rates high enough to keep up with the demand. The brand was pulled up to luxury by popular demand. The brand does not view the experience at its properties as one-size-fits-all. Rather, guests can get a one-of-a-kind experience. Starwood has a multi-brand approach to luxury. W was a game-changer for the new generation of luxury travel, while its iconic Luxury Collection hotels are the counterpoint to W.
On another note, executives at Starwood talked about the brand being global before global was cool, per Mr. van Paasschen. Ninety percent of the company’s luxury pipeline is in markets outside of established markets such as Japan, the U.S. and Europe. Starwood plans to open 50 new hotels across the Middle East and Africa over the next five years (see story). The new generation of travelers is going from novice to experts due to global awareness. There is acceleration of demand in growing markets. Appealing to the new generation of luxury consumers requires marketers to connect what is happening in the world to their brand. Starwood has immersed employees in markets such as Shanghai and Dubai. (Dubai, UAE) — Starwood Hotels & Resorts Worldwide, Inc. recently signed an agreement with UAE-based conglomerate Al Habtoor Group to open three hotels in Dubai. The three hotels – St. Regis, Westin and W-branded properties – are scheduled to open in 2017. Located on a one million square-foot property on Sheikh Zayed Road, the development will include the first St. Regis hotel in Dubai, a stylish W Hotel and a new Westin, adding 1,675 rooms to the city when they open in 2017. Starwood currently operates 15 properties in Dubai, representing the second largest concentration of the company’s hotels in a single city outside of New York. 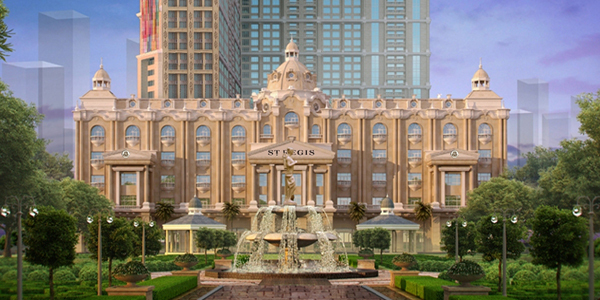 The St. Regis Dubai will feature 241 luxuriously-appointed guest rooms, including 49 elegant suites. 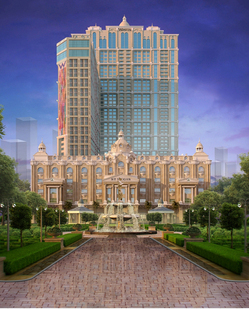 The hotel will also offer extensive state-of-the-art meeting and event space as well as a wide range of luxury experiences with eight distinctive culinary, lounge and bar venues, a signature spa, swimming pool, a state-of-the-art fitness center and an 8,600 square-foot St. Regis ballroom. Following in the tradition that began in 1904 at The St. Regis New York, The St. Regis Dubai will feature the famed hallmarks of the St. Regis brand including signature St. Regis Butler Service, bespoke guest experiences and luxury accommodations tailored to global travelers. The new W Dubai – Sheikh Zayed Road will provide a cutting-edge lifestyle experience, comprising 384 stylish guest rooms including 88 suites, four WOW Suites and one Extreme WOW Suite (W’s take on the Presidential suite). The hotel will offer eight contemporary dining venues, the signature W Lounge (W’s reinterpretation of the traditional hotel lobby), WET pool deck, SWEAT state-of-the-art fitness center, a signature spa and contemporary meeting and event spaces, including the W Great Room. The Westin Dubai – Sheikh Zayed Road will feature 1,050 guest rooms and 129 suites. The hotel will also offer six distinct food and beverage outlets and more than 26,000 square-feet of ultra-modern meeting and event space including The Westin Ballroom, 14 meeting rooms and a business center. Starwood currently operates close to 50 hotels in the Middle East, which includes 23 hotels in the UAE. The company is set to open more than 30 hotels in the region over the next few years, representing a portfolio growth of more than 50 per cent. By 2015, the Middle East will become the second region, after North America, to operate all nine of Starwood’s world-class brands – St. Regis, The Luxury Collection, W, Westin, Le Méridien, Sheraton, Four Points by Sheraton, and the recently launched Aloft and Element – further reinforcing the company’s commitment to the region. An Exciting venture My paintings should be there.